Are you in the market for a new 7-inch tablet? There are no prizes for guessing what was the biggest review on TechRadar this week. 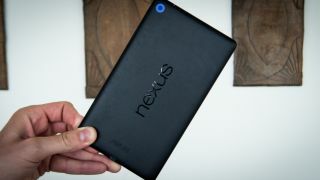 Google's new Nexus 7 has arrived and it goes straight in at number one as the best 7-inch tablet in the observable universe. Designed to take on the inevitably forthcoming new iPad mini, it's the antidote to everything we didn't like about the original Nexus 7. It's slightly more expensive but still bargainous, and comes not only packing an incredible screen and faster innards but also a new premium appearance. It's an iPad rival-killer for sure. If you're looking for a 7-inch tablet, we'll put it like this: there is no better alternative on the market, right now. And be aware of that qualification, because markets change very quickly. The Nexus 7 wipes the floor with the competition but Google could have worked at 100% rather than 97% to make the Nexus 7 the one to beat. The first of four Canon cameras for you now! Canon has a lot more competition in the premium compact camera department than it previously might have done, so it seems to be pulling out all the stops to make its latest updates appealing to consumers. We've been long time fans of the S range, and it looks like the improvements made could make it a high performer - that's the theory at least. It will be quite a feat to match the performance of the Sony RX100 Mk II, the camera by which we're measuring most premium compacts against at the moment. Here's hoping it gives a good contest. Canon always produces solid performers in its G series cameras. While that's appealing to the traditionalist crowd, it is now fighting a harder battle than ever before to keep market share in the crowded premium compact camera market. While we've no doubt that the Canon PowerShot G16 will be capable of producing fantastic images, it will have to go some way to beat the excellent Sony RX100 Mk II. It's interesting that Canon has decided to keep the same (relatively) small sensor for the latest G series and hasn't been tempted to go down the same larger route as the Sony. Whether image quality will suffer because of this remains to be seen. Bridge cameras continue to perform well in what is otherwise a tricky time for compact cameras. For those who want full manual control and a large zoom ratio, the Canon SX510 will be appealing, while the small form factor is ideal for travelling photographers. For something which is so keenly priced, on paper you're getting a lot for your money. A 16x optical zoom is a decent range for those looking for an easy to use travel camera. Why offer smart TV apps but not the power to navigate them? The Toshiba 40L6353 has bitten off more than it can process, though Cloud TV's niggles go deeper than a mere lack of power. Some forgivable image flaws aside, the Toshiba 40L6353 puts in an impressive though unremarkable picture performance, ditto sound. £599 (around US$935 / AU$1,020) is a decent price for a 40-inch TV with access to apps, but the Toshiba 40L6353 badly needs a dual-core processor to bring it up to speed. Without that, Cloud TV can be a painfully slow experience. So slow, in fact, that those looking for a smart TV will be disappointed; it's best thought of as an occasional feature at best. The Acer Aspire P3 is a decent Windows 8 tablet that will suffice for those looking for a portable tablet that runs Microsoft Office, their favourite programs and can support external displays and USB devices.